Home Parenting	Year-round swim lessons – a Smarty thing to do! Confidence. 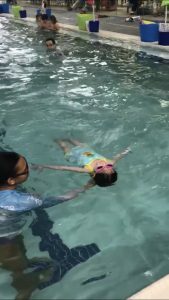 Getting into the water weekly with the trained instructors from Little Otter Swim School keeps my kids familiar with swim skills that they have already mastered. This will prevent them regressing and getting scared around the water. This gives them the confidence each week to keep trying and learning new skills. This consistency will rear its head when we visit a pool at a hotel while traveling, a beach trip or in preparation for next summer. Safety. Water safety is something that extends beyond the swimming pool. Water safety is important in our everyday situations, including the bathtub, standing water outside of our homes and even pools that you may not think of, such as neighbors’ pools. The kids learn critical skills year round about how to get themselves out of the water on their own, what to do if they fall into the water as well as how to help a friend if they fall into the water. Drownings are not exclusive from Memorial Day through Labor Day. Help keep your kids safe by exposing them to these critical lessons. Additionally, each year Little Otter also hosts two safety days where they invite the kids to come dressed in street clothes and shoes and get into the water to learn what to do in times of trouble around the pool. They also give the parents great information and tips, too! Keep growing! Not only are swim lessons a great way to practice what they’ve already learned, but it’s a great way to keep them excelling by learning new strokes, holding their breath longer and swimming greater distances. Kids are kept to small classes with an instructor that are all focused on the same strengths. Kids have the chances to be evaluated and if they pass the necessary skills to pass their class, they earn a ribbon and take their photo with the otter with music and lights on to make it more celebratory before advancing into the next class to continue growing and improving. It’s FUN! This weekly instruction also gives my kids great social time with kids that are outside of their everyday group of friends. They love coming to class and seeing what the monthly theme is at Little Otter – sometimes it’s a safari, sometimes it’s sports – each month is something new and fun that they infuse into their lessons. The kids really love it. I would recommend anyone to do swim lessons. It’s great for kids both in the short term – with keeping them active and healthy, as well as in the long term for improving their swim skills. There are so many advantages with safety being the top one for me. 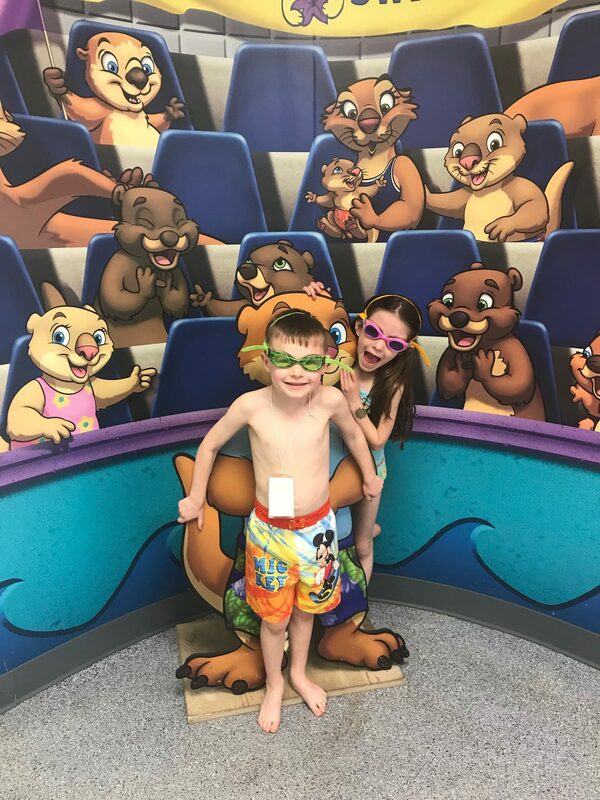 Little Otter Swim School provides swim lessons for kids as young as 6 months (Yes, even that young little ones should start getting familiar around water! ).